Modern houses and façades require a modern form of illumination: The outdoor wall light Rachel does not only satisfy this requirement through the modern, straight design, but rather it is also up to date in regards to technology, because no external lights must be used, because an LED board with 27 SMD LEDs is directly installed in it, which emits warm-white light. This relatively new form of illumination convinces primarily through its low energy consumption and the longevity of the light. 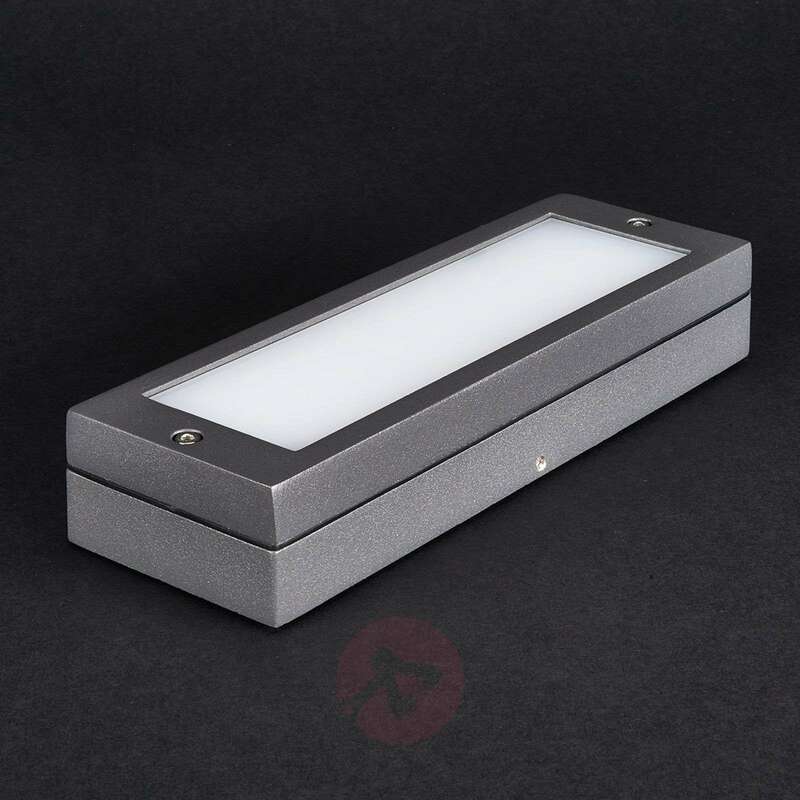 A light yield of 65 Lumen per watt is created. 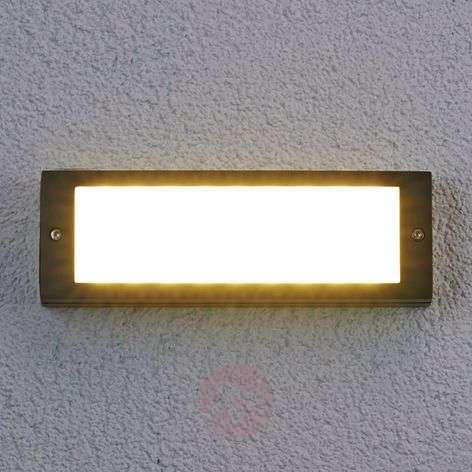 can you buy replacement bulbs for this product? - and is this sufficient to light a small patio at 4.5m x 3m? If it was placed centrally on a wall above bifold doors? Thank you for your query. 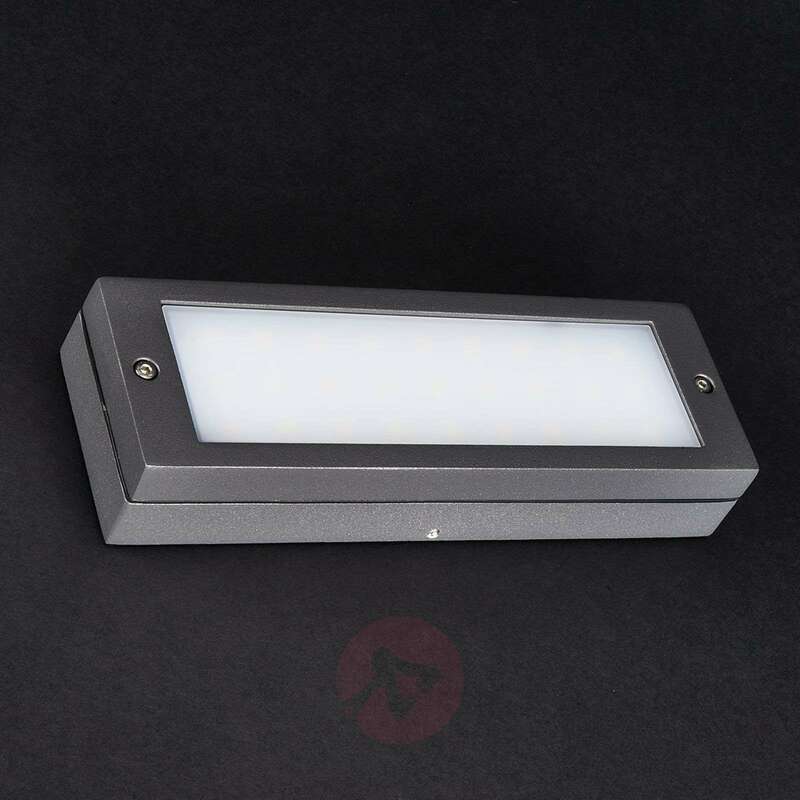 The LEDs in this light cannot be changed, but they should last for 20,000 – 25,000 hours of use. 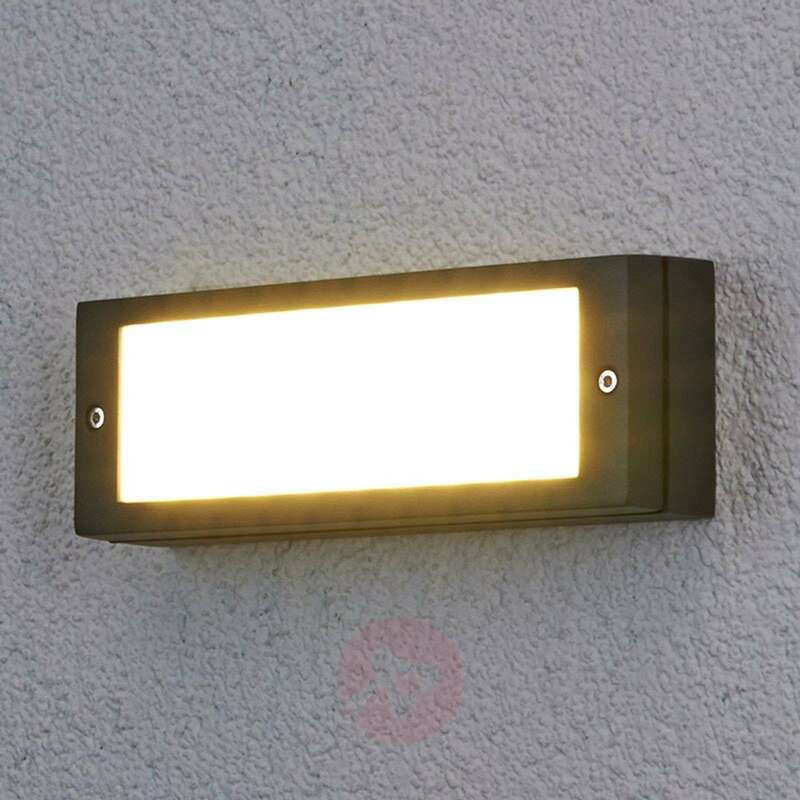 Regarding suitability for your patio, we cannot say, as we are not onsite, however this light is as bright as about 25W of traditional brightness. Easy to fit and gives a good bright light.